Make fungal infections sorry they ever set foot on your feet. 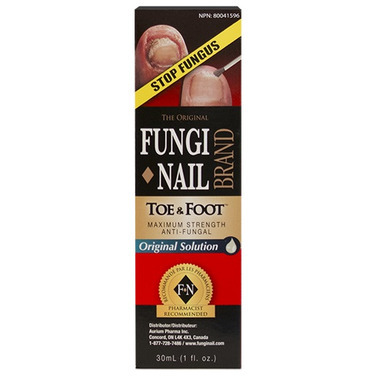 Fungi Nail is the only anti-fungal that treats toe fungus and athlete’s foot. Fungi Nail helps you get back on your feet in no time. Directions: Use 2x day for 4 weeks. Even before the treatment ended I noticed a difference in the new nail growth.